The inaugural EUphoria Film Festival provides an opportunity for enthusiasts of international cinema in Los Angeles to celebrate and discover contemporary films from across the European Union, featuring award-winning films and domestic box office hits from 13 participating countries of the EU. 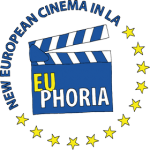 EUphoria is dedicated to promoting European film culture and the European Union in the United States by expanding awareness of the rich heritage and diversity of cinemas from Europe. The 2014 edition is comprised of feature length dramatic and documentary films from Austria, Belgium, Bulgaria, Croatia, Czech Republic, Finland, Germany, Greece, Ireland, Italy, Lithuania, Luxembourg, and Poland. 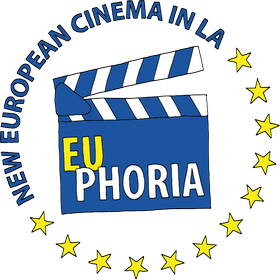 Taking place at the University of Southern California (USC) from September 19th – 24th, 2014, EUphoria is produced jointly by 13 EU Consulates in Los Angeles and San Francisco, European Languages and Movies in America (ELMA), and the USC School of Cinematic Arts. The festival is offered free of charge to film lovers across Southern California, and will kick-off with an opening night reception featuring cuisines from across the EU. ELMA (European Languages and Movies in America) is a Santa Monica based nonprofit organization dedicated to showcasing European movies. ELMA’s mission is to create new avenues for better cultural understanding between the people of Europe and the USA by celebrating alternative cinema. With the school’s launch, USC became the first university in the country to offer a Bachelor of Arts degree in film. The school’s founding faculty included Douglas Fairbanks, D.W. Griffith, William C. DeMille, Ernst Lubitsch, Irving Thalberg, and Darryl Zanuck, among others. Since its founding, the School of Cinematic Arts has had a profound impact on feature and independent film, television, film studies, animation, documentaries, commercials, and most recently, interactive media.